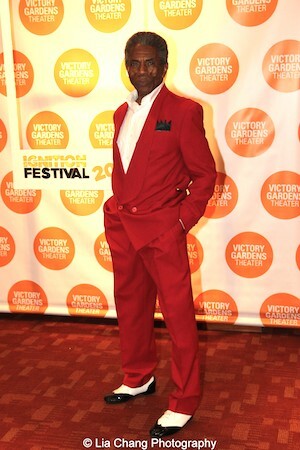 Victory Gardens Theater’s Fox Foundation Resident Actor Fellow André De Shields kicked off the Victory Gardens Theater’s 2015 IGNITION Festival of New Plays with his riveting solo show, CONFESSIONS OF A P.I.M.P., on July 16th at the Victory Gardens Biograph Theater in Chicago. Written by and starring De Shields, with Samuel G. Roberson at the helm, the cast also featured Kimberly Lawson, Donica Lynn, Tony Mhoon (Bassist), Robert Reddrick (Percussionist) and Doug Peck (piano and musical director). From the heat of urban insurrection in Baltimore, Maryland to the incandescent glare of New York’s Great White Way, “Jelly Belly” has many stories to tell. It was a packed house for the Two-time Tony nominee who shared his adventure from inner city impoverishment to self-actualization, through song, dance and spoken word. 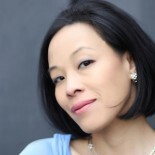 On Sunday, July 19, 2015, De Shields will be featured in a staged reading of Basil Kreimendahl’s Sadie River’s Drag Ball on the Lawn, with Echaka Agba, Chris Chmelik, and Mary Williamson, directed by Bonnie Metzgar at 7:30 p.m.
Synopsis: Sadie River, Mother to The House of River, teaches her unconventional drag family a new performance that she believes will change their lives. Rather than schooling them on gender performance, she attempts to educate her working-poor family in the art of passing as upper-class. 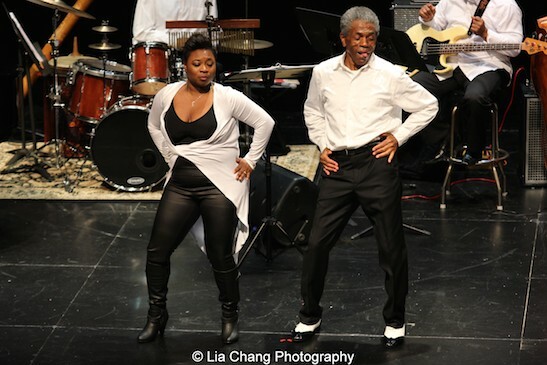 In a career spanning forty-six years, André De Shields has distinguished himself as an unparalleled actor, director, choreographer and educator. He is the recipient of three Jeff Awards, one as Director for Victory Gardens’ 1987 production of The Colored Museum, and two as Featured Performer in a Musical for the Goodman Theatre productions of Play On! (1998) and Mary Zimmerman’s The Jungle Book (2013). In fact André’s professional career began at Chicago’s Shubert Theatre in the 1969 production of Hair. From there he moved on to The Me Nobody Knows at the Civic Opera House, and ultimately became a member of The Organic Theatre Company, where he created the role of Xander the Unconquerable, Ruler of the Sixth Dimension in the cult sensation Warp. A multiple Tony Award nominee, he is best known for his show-stopping performances in four legendary Broadway musicals: The Wiz, Ain’t Misbehavin’, Play On! and The Full Monty. His numerous accolades include an Emmy Award for the NBC Special based on Ain’t Misbehavin’, the National Black Theatre Festival’s Living Legend Award, the Village Voice OBIE Award for Sustained Excellence of Performance and two Doctor of Fine Arts degrees honoris causa one each from the University of Wisconsin-Madison and the State University of New York-College at Buffalo. A triple Capricorn, Mr. De Shields is the ninth of eleven children born and reared in Baltimore, Maryland. 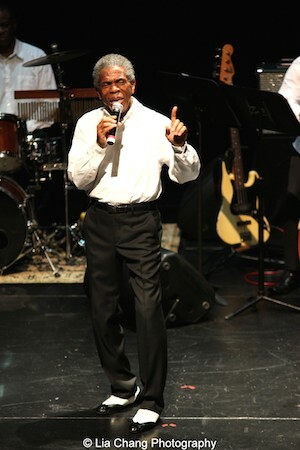 www.andredeshields.com. 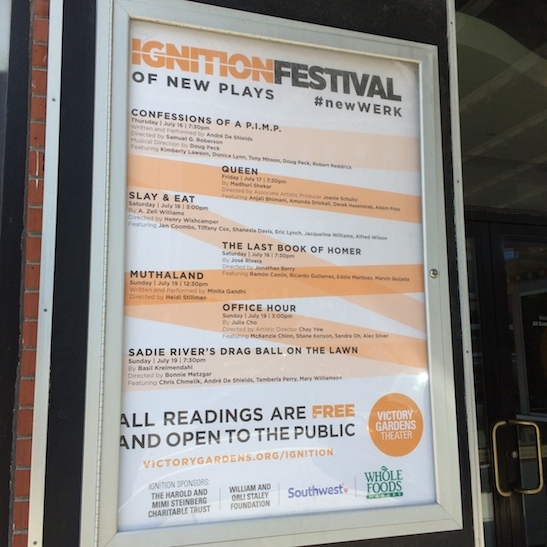 The IGNITION Festival of New Plays receives major support from The Harold and Mimi Steinberg Charitable Trust, The William and Orli Staley Foundation, and Southwest Airlines, Victory Gardens’ official travel sponsor. Performances are at the Victory Gardens Biograph Theater, 2433 N. Lincoln Avenue, in the heart of Chicago’s Lincoln Park neighborhood. 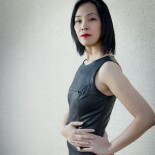 Admission to all festival readings and events is free, though an RSVP is required. For more information or to RSVP, visit www.victorygardens.org/ignition/ or call the Victory Gardens Box Office at 773.871.3000. Photos and Video:’The Visit’ Broadway cast performance and CD signing at Barnes & Noble with Chita Rivera, John Kander, Graciela Daniele and Co. 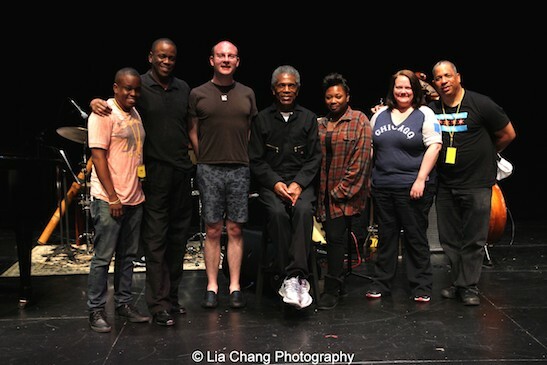 This entry was posted on July 18, 2015 by Lia Chang in African American Artists, Andre De Shields, Entertainment, Performance Photography, Theater and tagged #ignition2015, #newwerk, 2015 IGNITION Festival of New Plays, Andre De Shields, Backstage Pass with Lia Chang, Chay Yew, Chicago, Confessions of a P.I.M.P., Donica Lynn, Doug Peck, IGNITION Festival of New Plays, Kimberly Lawson, Lia Chang, Robert Reddrick, Tony Mhoon, Victory Gardens, Victory Gardens Theater.